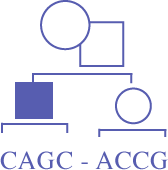 What is a Genetic Counsellor? Interested in partnering with the CAGC to help develop and produce new webinar content in a sponsorship capacity? Please see the Education Partnership Proposal Application Form for further details and instructions on how to apply. Comments and feedback on the site.